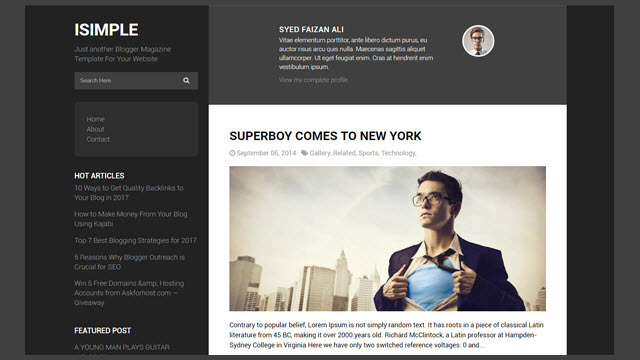 Description: iSimple Classic Layout Responsive Blogger Templates is a beautiful combination of elegance and simplicity. It is based on Flat UI which provides a great touch and feel to this template. We've tried to give it a hint feel of modern layout as well, so it blends well with your website. You can use it on your personal blog or it can also be used on your professional blog, either way it can support any website belonging to any category.